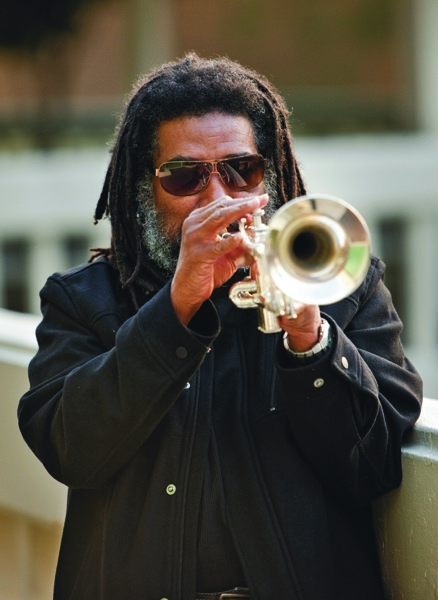 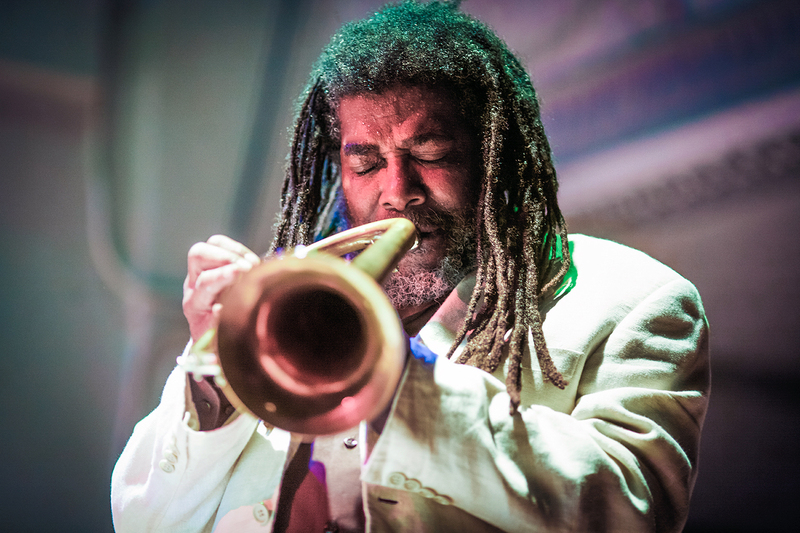 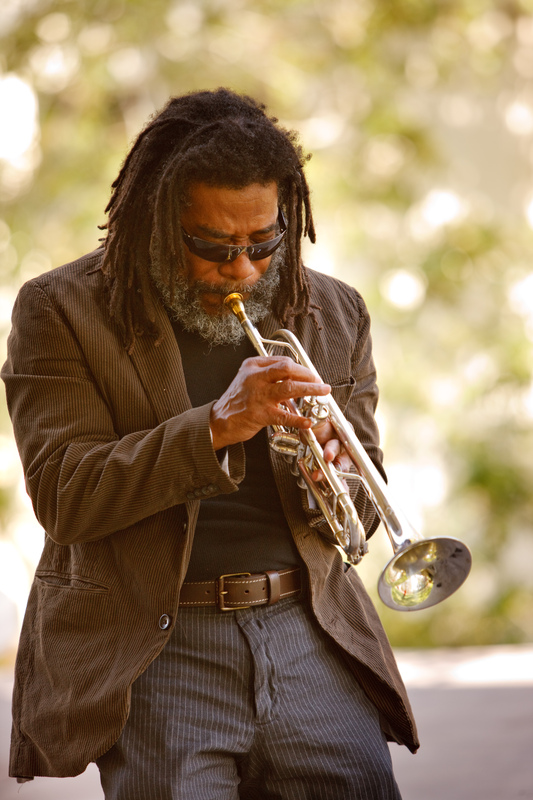 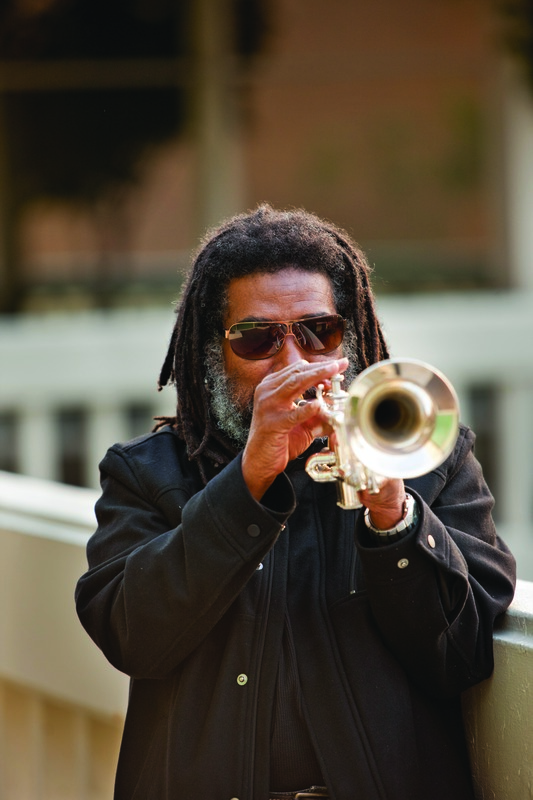 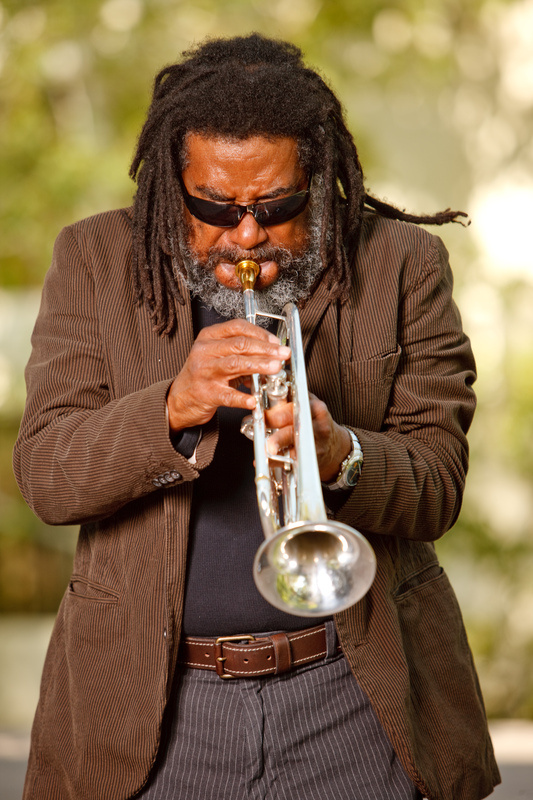 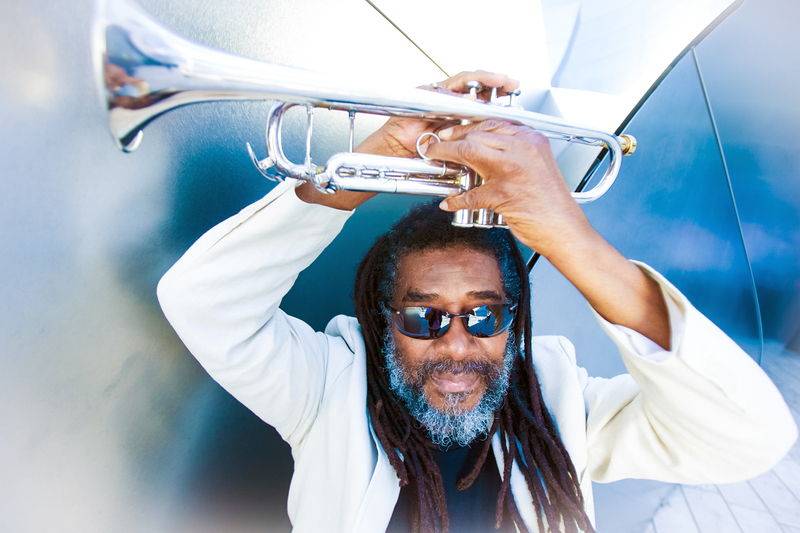 Wadada Leo Smith is a well-respected trumpeter and composer working in avant-garde jazz and improvisation. 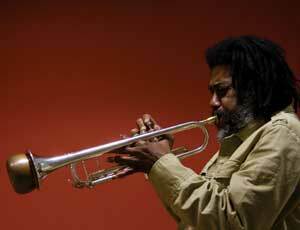 He was an early member of Chicago’s legendary AACM, joining in 1967 and co-founded the Creative Construction Company, a trio with Leroy Jenkins and Anthony Braxton in the late 60s. In 1971 Smith formed his own label, Kabell, for whom he recorded a number of albums considered classics of their kind. He is currently a professor of Music at the California Institute of the Arts, and is the director of the MFA program in African American Improvisation. 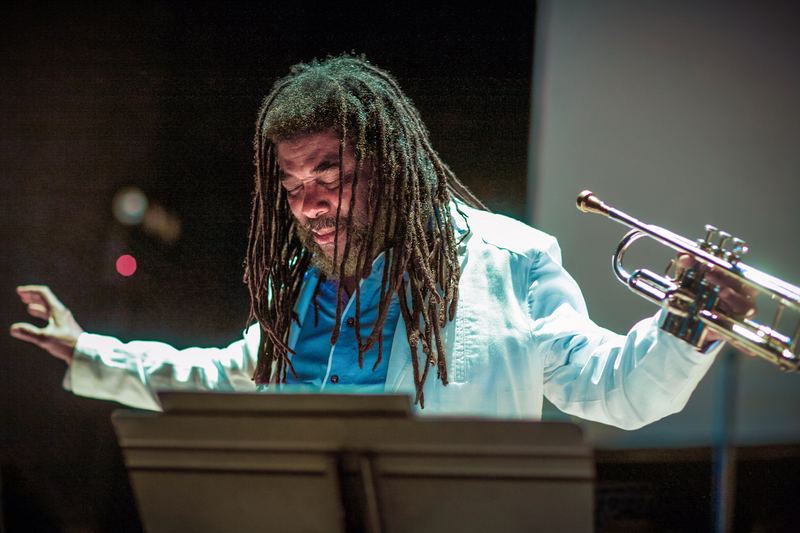 Smith has studied a variety of music cultures (African, Japanese, Indonesian, European and American) and has developed a music theory, and a notation system to fully express this music which he calls "Ankhrasmation". He has been a major force in contemporary jazz for over 40 years and performs frequently throughout the world. We first worked with Wadada when we released the two "Yo Miles" albums, of which he was co-leader, and we both enjoyed working together so much that we decided to work together again on one of his own works. "Smith uses his magisterial instrumental voice, his inspirational leadership and his command of classical, jazz and blues forms to remind us of what has gone down and what's still happening." 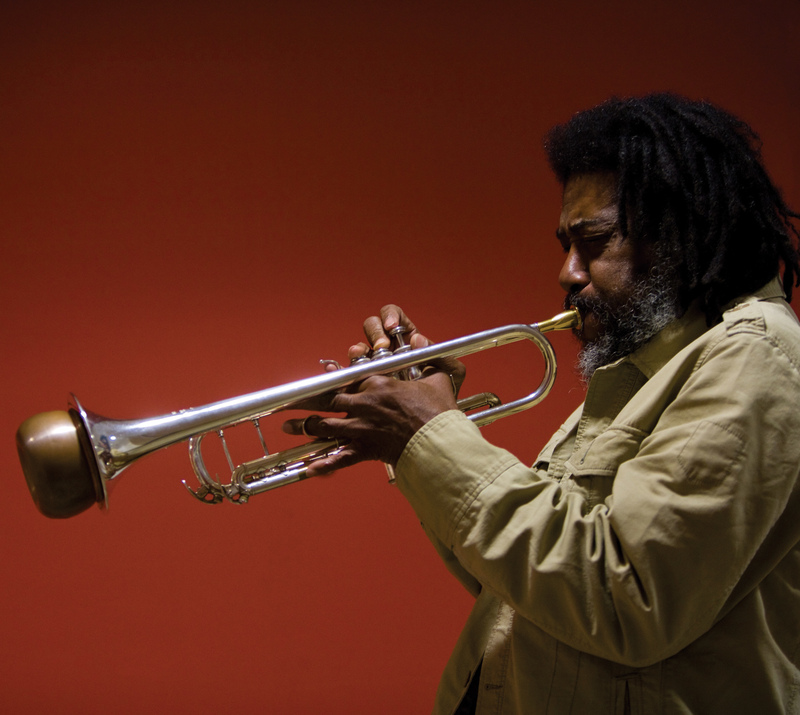 "A trumpeter and composer of penetrating insight." 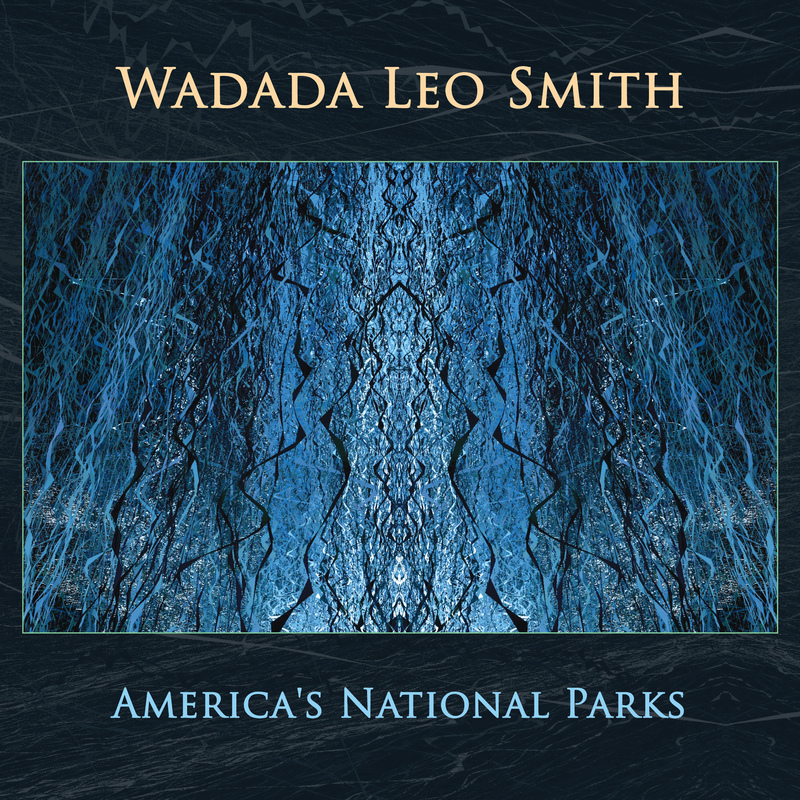 With America’s National Parks, visionary composer and trumpeter Wadada Leo Smith offers his latest epic collection, a six-movement suite inspired by the scenic splendor, historic legacy, and political controversies of the country’s public landscapes. 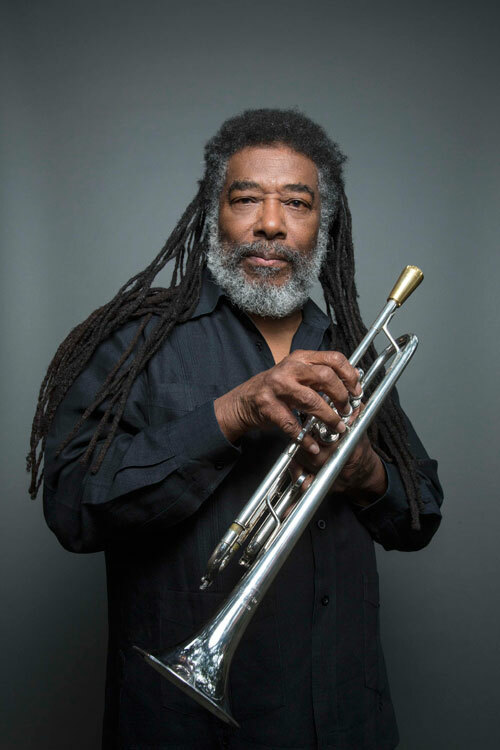 Writing for his newly expanded Golden Quintet, Smith crafts six extended works that explore, confront and question the preserved natural resources that are considered the most hallowed ground in the U.S.  and some that should be. 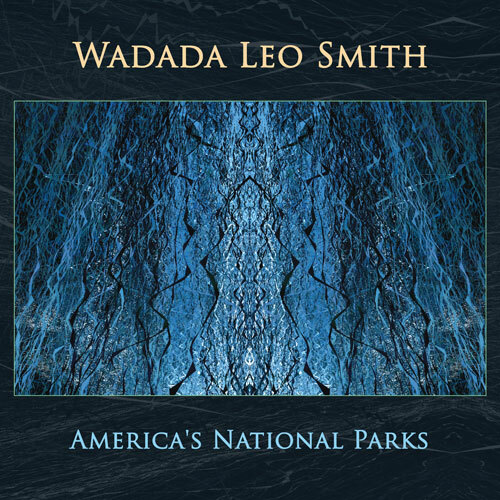 America’s National Parks was released shortly before Smith’s 75th birthday in December, arriving, coincidentally, in the midst of celebrations for the centennial of the National Park Service, which was created by an act of Congress on August 25, 1916. 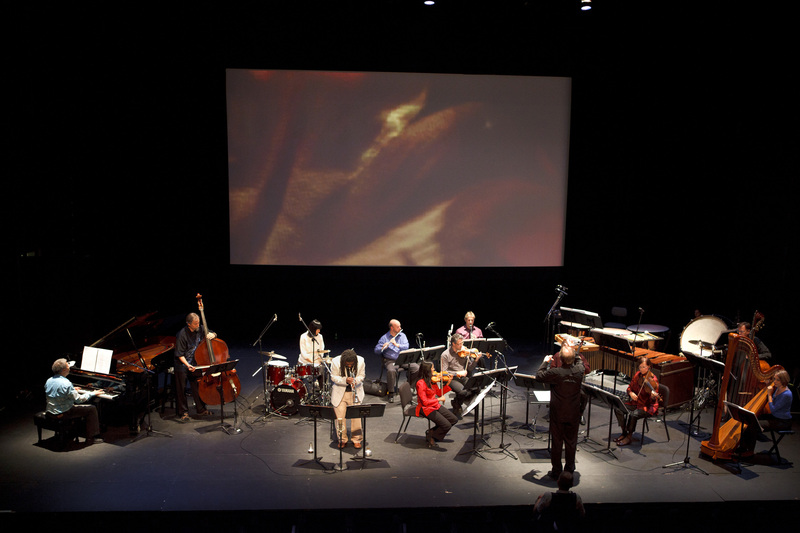 The spark for the project, however, came from two places: Smith’s own research into the National Park system, beginning with Yellowstone, the world’s first national park; and Ken Burns’ 12-hour documentary series The National Parks: America’s Best Idea. 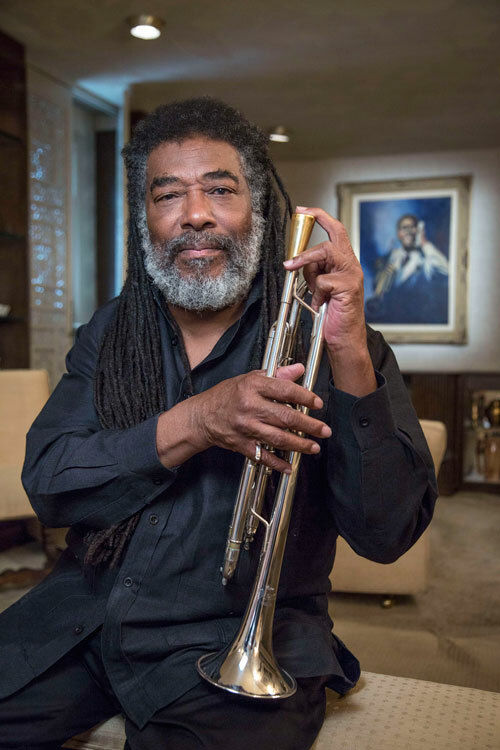 "The idea that Ken Burns explored in that documentary was that the grandeur of nature was like a religion or a cathedral," Smith says. 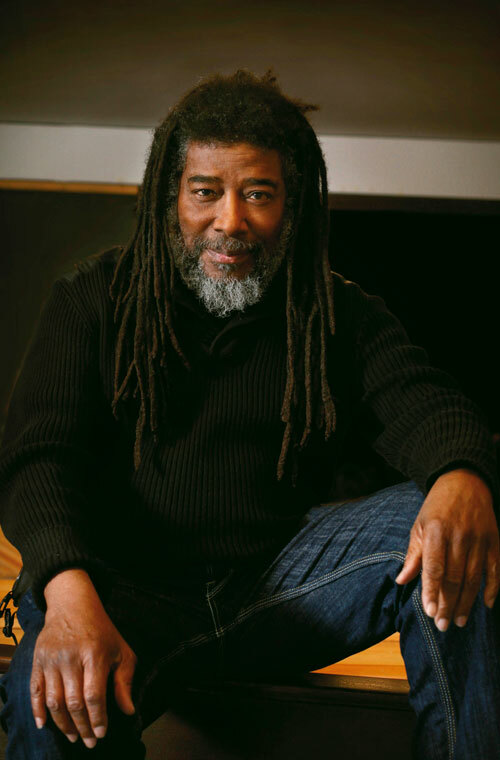 "I reject that image because the natural phenomenon in creation, just like man and stars and light and water, is all one thing, just a diffusion of energy. 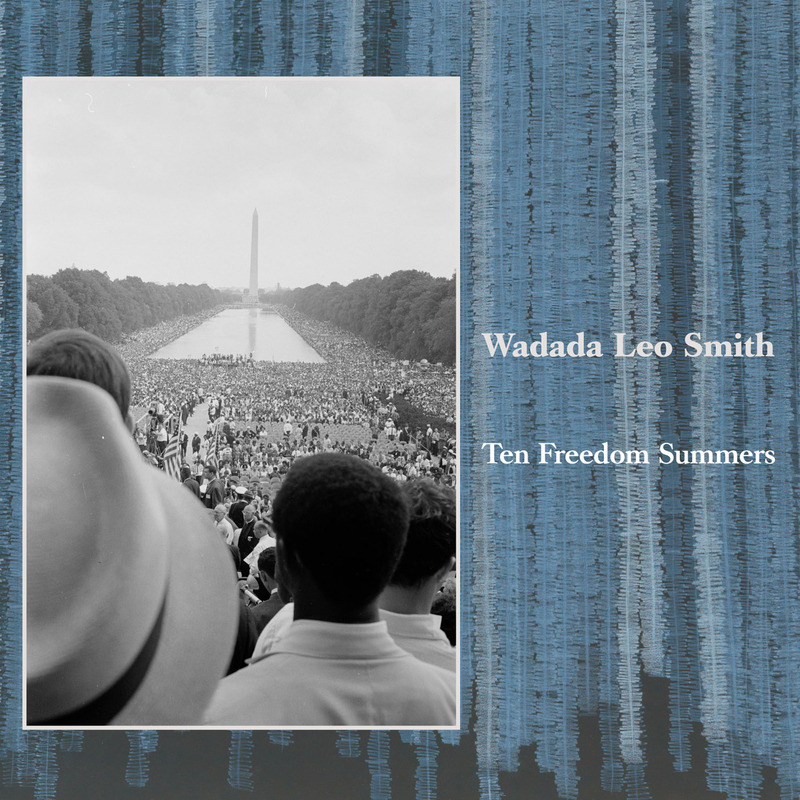 My focus is on the spiritual and psychological dimensions of the idea of setting aside reserves for common property of the American citizens." 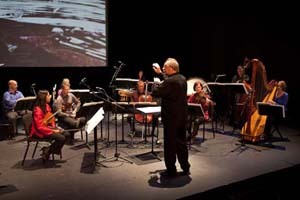 His 28-page score for America’s National Parks was penned for his Golden Quintet, a fresh reconfiguration of the quartet that’s been a keystone of his expression for the last 16 years. 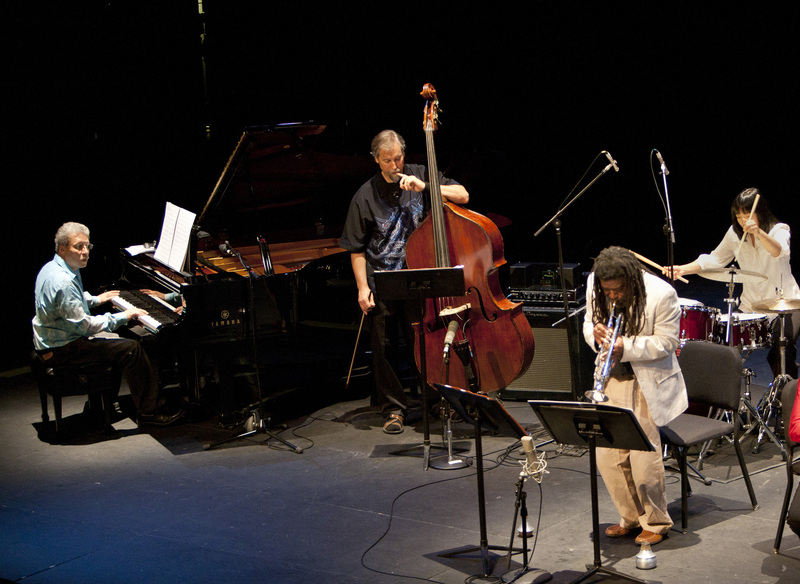 Pianist Anthony Davis, bassist John Lindberg and drummer Pheeroan akLaff are joined by cellist Ashley Walters, affording the composer and bandleader new melodic and coloristic possibilities. 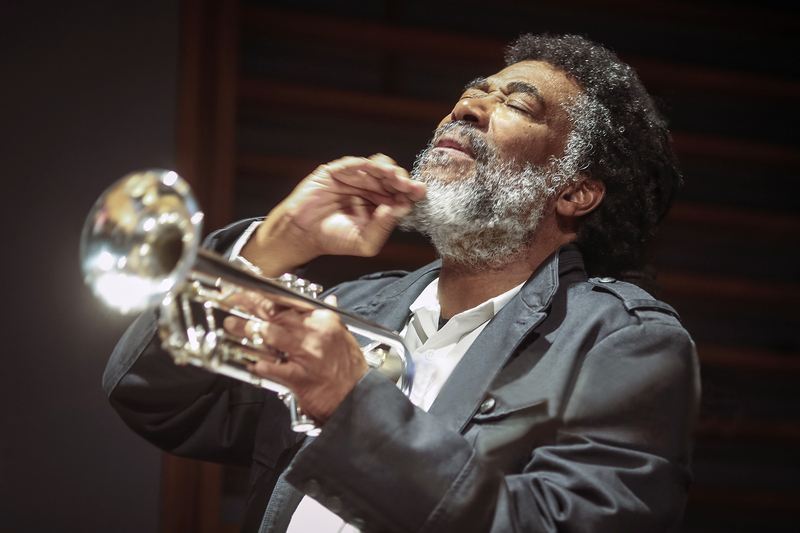 "The cello as a lead voice with the trumpet is magnificent," Smith says, "but when you look at the possibilities for melodic formation with the trumpet, the cello, the piano and the bass, that’s paradise for a composer and for a performer." 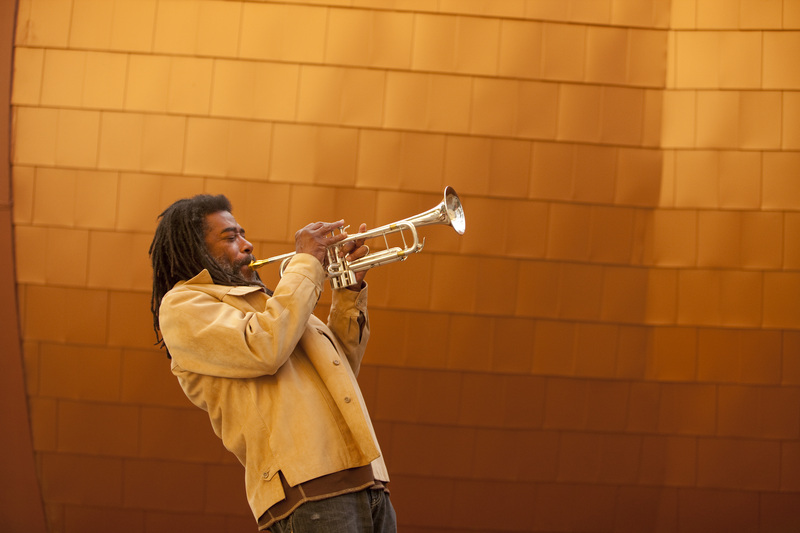 While these preserved landscapes offer the inspiration of powerful natural beauty, Smith’s always open-minded view of the world leads him to find that same inspiration wherever he is. 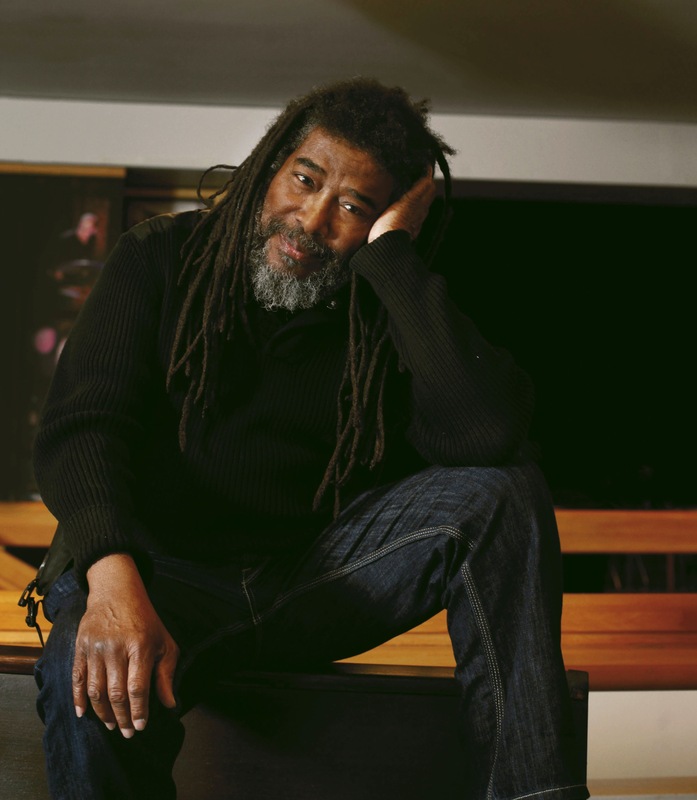 "Every concrete house is from nature," he says. 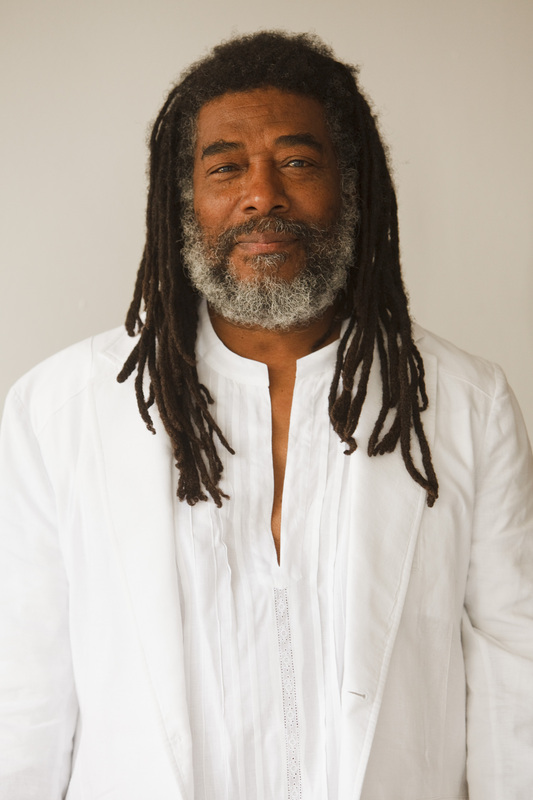 "Every plastic airplane that flies 300 people across the ocean comes out of nature.  Every air conditioner conditions a natural piece of air. I think that the human being is constantly enfolded in organic nature and constructed nature, so I’m constantly inspired, inside the house or outside the house." Although he made his reputation over decades and decades of work in the free jazz and improvised music realm and as a early member of Chicago's hugely influencial AACM (the Association for the Advancement of Creative Music), trumpeter Wadada Leo Smith has long been interested in larger ensembles and electric music as well. 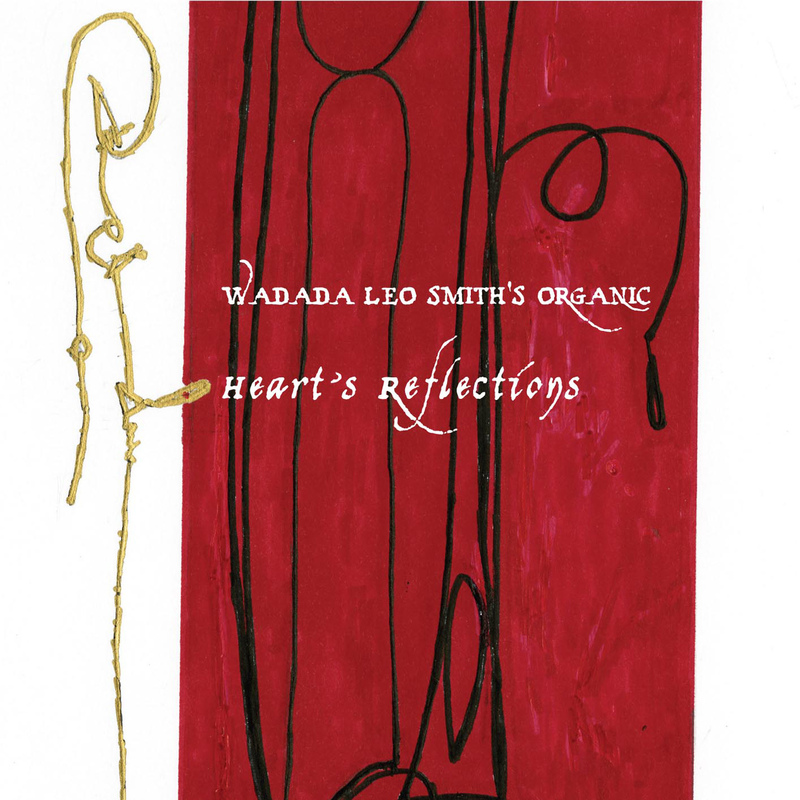 Heart’s Reflections is a bold double-disc set that features Wadada Leo Smith's Organic, a predominately electric, fourteen-piece group, a band most notable for a lineup marked by four guitarists. 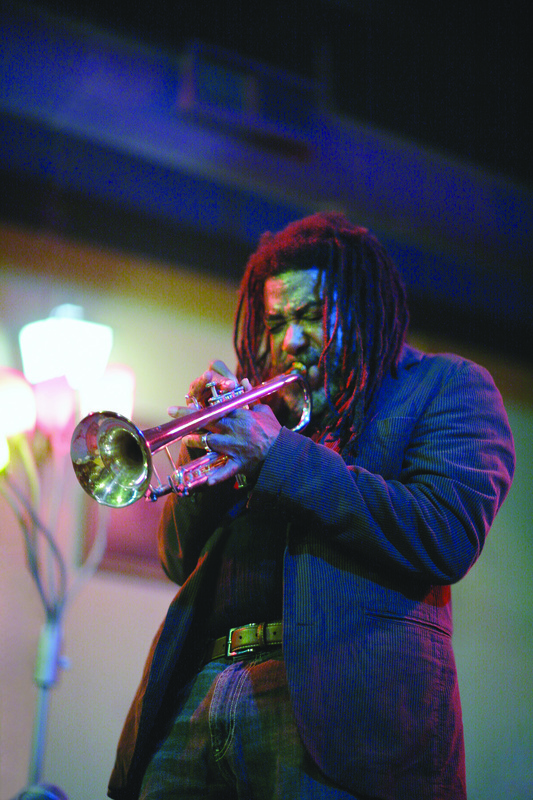 In addition to Smith, who plays both acoustic and electric trumpet, the extraordinary lineup on Heart’s Reflection includes: Brandon Ross, Michael Gregory, Lamar Smith, and Josh Gerowitz on guitar; Skuli Sverrisson and John Lindberg on bass; Angelica Sanchez on acoustic and electric piano; Stephanie Smith on violin; Casey Anderson on alto saxophone; Casey Butler on tenor saxophone; Mark Trayle and Charlie Burgin on laptops; and Pheeroan AkLaff on drums. 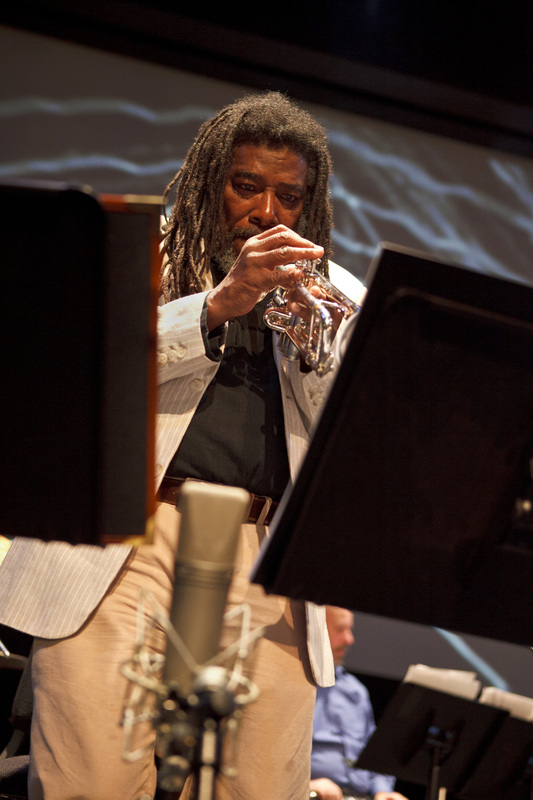 For a record by such a large group, at times the sound is surprisingly sparse and delicate - both qualities that have long marked Smith's work, while at other times, it sizzles and stomps! 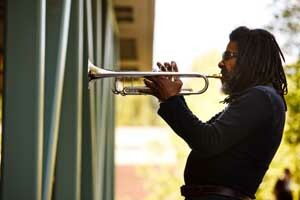 Though longtime listeners who haven't followed Wadada's work in the last decade might be surprised at times by the fierceness of Organic’s rhythm section, Heart’s Reflections is nonetheless marked by the trumpeter’s usual touchstones: long sustained notes, occasional clipped phrases, and a tough-to-define playfulness that infuses all of his work. 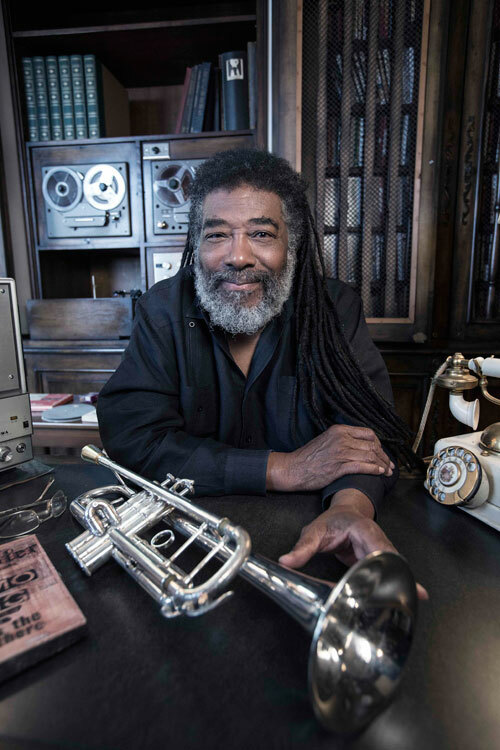 Coming across like the next evolutionary step after Miles Davis’ electric era, Heart’s Reflections is a vibrant set that harkens back to the blues influence of Smith’s Mississippi childhood, and looks forward to still-developing realms of noise and electronics. 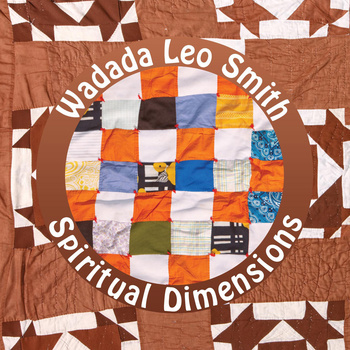 The album fuses a galaxy of influences into a natural and accessible form, offering an ideal entry point into Smith’s vast oeuvre. 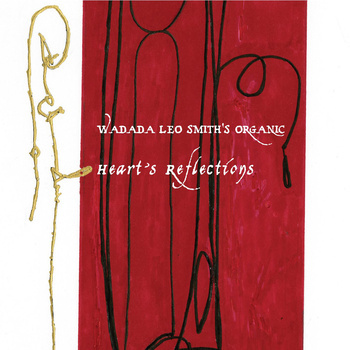 Heart’s Reflections should appeal to fans of groove-oriented jazz, as well as rock and electronics audiences with a taste for adventure. Spiritual Dimensions is a double album that features two very special groups, both filled with truly great and legendary musicians! Both discs were recorded live to capture the energy and spirit that Smith's shows have. 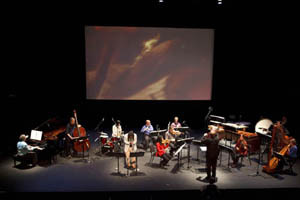 The easiest comparison between the albums can be drawn by listening to the two different versions of the composition South Central L.A. Kulture, which appears at the last track by the Golden Quintet and as the first track by Organic; its inclusion here in two versions is a good example of how Smith’s compositions can mutate to embrace new settings. 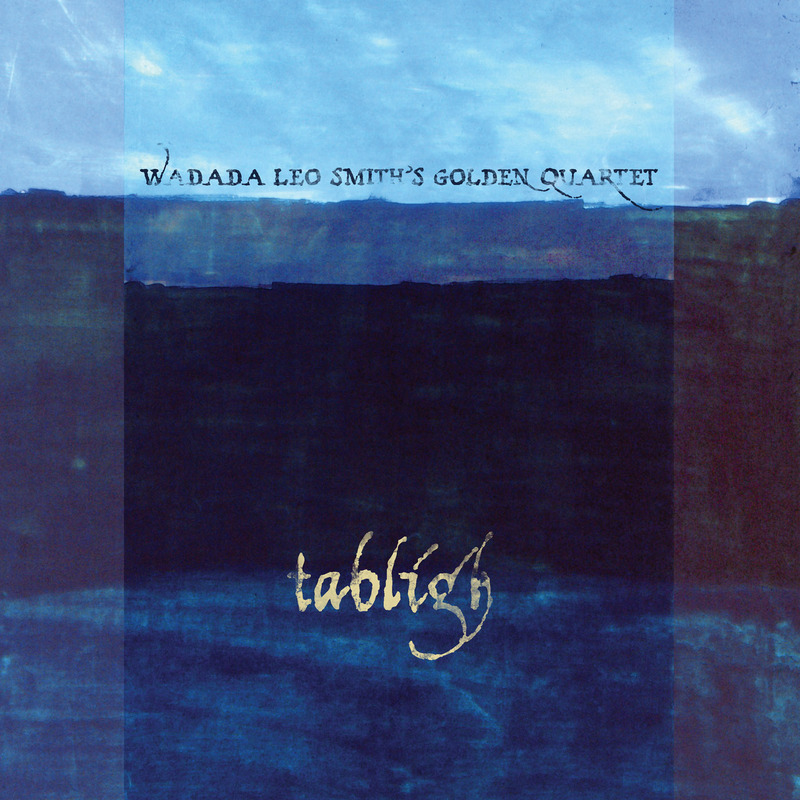 Recorded live, the sound on Tabligh veers from a sound akin to early electric jazz ala "In A Silent Way" and especially 'the lost quintet' of Miles in late 1969/early 1970, to both more sparse and modern jazz fare, all of it informed by the distinctive personalities of these four players and their leader's musical concepts.